Our understanding of TMJ dysfunctions begins with the Stomatognathic Systemthat is composed of the teeth, the TemporomandibularJoints (TMJs) and the Mastication Muscles. We view the teeth as a set of gears which must mesh perfectly in order to provide the primary physiologic functions of the masticationand swallowing.The teeth are also involved in breathing and in the fonation. The two TMJsare the joints that connect the mandible to the skull. Each one is a synovial joint formed where the condyle of the mandiblearticulates with the articular tubercle of the temporal bone.You can feel them work by placing your fingers just in front of your ears and opening and closing your mouth. Interposed between the two surfaces of the joint there is a disccomposed of fibrocartilage. 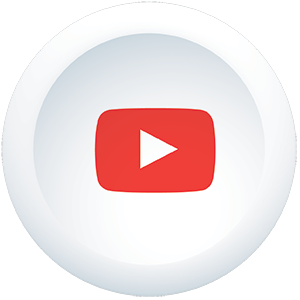 The disc sits on the mandibular condyle. The condyle carries the disc with it when the jaw opens and closes. 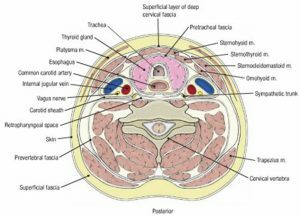 The disc is anteriorly attached to the superior lateral pterygoid muscleand posteriorly to the retrodiscal materialthat is a thick ligament that prevents the disc sliding too forward. 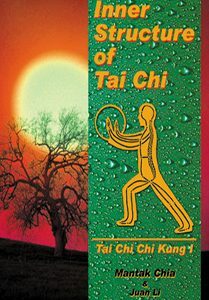 When we open the mouth, the condyle rotates on the disc for a very short time. After the initial rotation, the condyle and the disc glide together along the articular tubercle. The movement of the jaw involves the two temporomandibular joints. The muscles that move the two TM joints are called muscles of mastication. Three pairs of muscles are mainly responsible for elevating the mandible when we close the mouth. 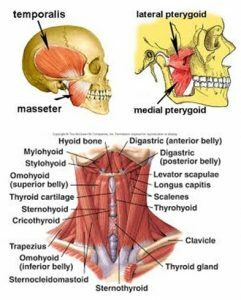 These are the temporalis, themasseter, and the medial pterygoid. 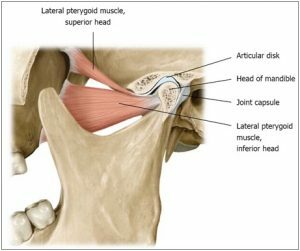 The inferior lateral pterygoidmuscle attaches to the neck of the mandible. So when it contracts, it pulls the condyle forward and it helps opening the mouth. The other muscles involved in opening the mouth are the suprahyoidmuscles that depress the mandible once the hyoid boneis stabilized by the infrahyoidmuscles. 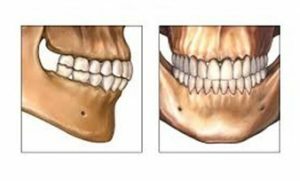 Any tooth gearing abnormality causes the neuromuscular system to program reflex movements for the mandible to avoid any damage to the teeth and to the temporomandibular joint when closing the mouth. 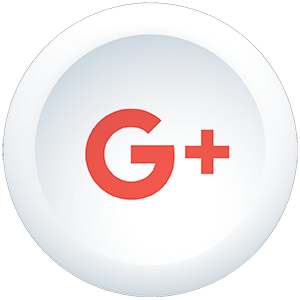 This creates a situation in which the jaw is “limping”much as we limp with an injured ankle. The limp is the neuromuscular system way of protecting a potentially injured component. This changes the movement patterns of the jaw and that means that some muscles of the mastication must work too much and they go to spasm. Muscle spasm will lead to myofascial pain. 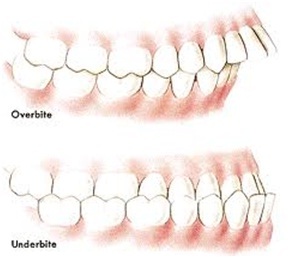 Occlusal problems overwork especially the lateral pterygoid muscle in its effort to center the teeth against the forceful occlusion produced by the mandibular elevator muscles. Myofascial trigger points (MTrPs) in this muscle are the chief source of referred pain felt in the TMJ area. When the lateral pterygoid m. is in spasm, the small muscle tensor veli palatinealso is in chronic contraction because they are both supplied by the same nerve, the mandibular branch of the trigeminal nerve.This will close off the Eustachian tube that connects the throat to the middle ear and keeps the air pressure in the middle air the same as the outside atmosphere. 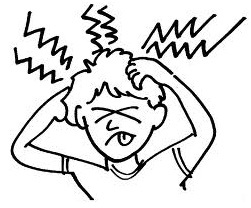 The closing of the Eustachian tube will produce symptoms of earaches, ringing and dizziness. Normally the jaw can be opened to three knuckles width and it tracks straight up and down. Any deviation or jerking movements indicate some dysfunction in the TM joints dynamics. 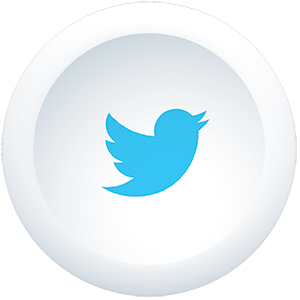 Clicking is also an indication of joint dysfunction. Clicking occurs when the articular disc has become displaced anteriorly due to a spasm of the lateral pterygoid muscle. 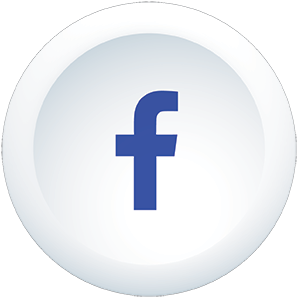 When opening the jaw,the forward moving condyle bumps over the edge of the displaced disc causing a clicking sound. Basically TMJ symptoms are the result of muscles spasm due to occlusal problem. The assessment of the jaw gait gives us more information about which myofascial tissues are involved in the dysfunctional movement pattern. A common dysfunctional pattern is the head forward. The sterno-cleido-mastoid muscles (SCM) are the main muscles responsible for this pattern because when they are tight short, they flex the neck on the thoracic spine and they extend the head on the top of the neck. 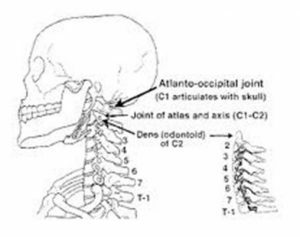 That means that the inframandibular muscles(suprahyoid muscles) that are flexors of the head at the atlanto-occipital joint, are overstretched (tight long) in their effort to counteract the action of SCM to keep the eyes horizontal. This will lead to the elevation of the hyoid boneand to a change of the mandibular position (posterior-superior into the retrodiscal tissue). 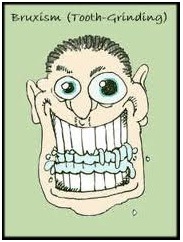 As a result there will be a change of teeth occlusion. 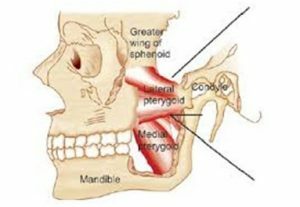 The muscles elevating the mandible (masseter, temporalis and medial pterygoid) overwork to close the mouth in the mastication process because their antagonists the inframandibular muscles are too tight long. Lateral pterygoid will go to spasm in its effort to control the closing of the mouth. 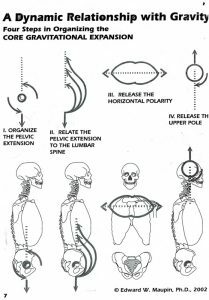 All this dysfunctional organization of the upper pole will develop myofascial trigger points in the head, face and neck. That means that a painful condition is activated! 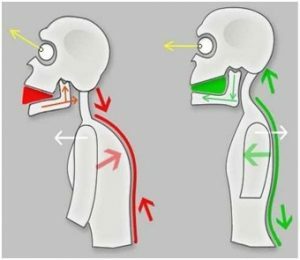 The deep neck muscles are the core muscles mainly supporting the cervical vertebrae so that the head movement (“yes” and “no” movements) are possible in an efficient way. 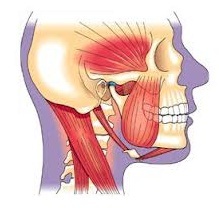 These muscles are surrounded by the deepprevertebral fascia(see picture showing a section of the neck). The C1-C2-Occiput complexis crucial for the rotational movement of the head. 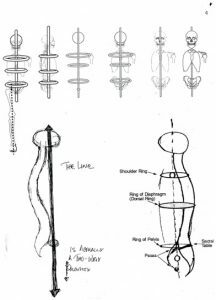 Balancing the head on the neck at the atlas-occipital jointinvolves working all the myofascial tissues inside the mouth. Only after releasing the tensions in the jaw, the internal extension of the neck up to the crown of the head will be possible!